The goal of this research area is to produce disruptive innovation (innovation producing technologies under an entirely different standard of value that displaces existing values) in new fields of photonics that will meet future demands of society and industry through cross-disciplinary, multilayered integration and development of conventional optical sciences, while simultaneously working to clarify the fundamental principles sustaining the creation of new technological ideas. These efforts are aimed at the synthesis of new optical functional materials, the development of communication and network technologies using innovative techniques for controlling light, the visualization of microstructures with high temporal and spatial resolutions, and the creation of basic technologies and systems for complex light through integration with advanced mathematical sciences. This cross-disciplinary and coordinated approach toward further supporting a broad range of fields that includes the environment, energy, manufacturing, telecommunications, medical care, and security through the clarification, control, and application of such new optical physics and functions will lead to the formation of a higher-order social and industrial infrastructure capable of meeting various aspects of social demands, including precision, sensitivity, capacity, power consumption, and cost. We will not limit ourselves to in-depth studies on technologies in a single field in this research area, but will keep a broad perspective that encompasses related fields of technology in an effort to conduct R&D that can create a new paradigm for merging dissimilar fields. 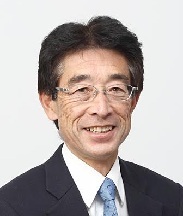 Managing Director, Director of Central Research Laboratory, Hamamatsu Photonics K.K.